Billgreen54 has created this refresher podcast just for you. American English Grammar Review is all about studying English again. Do you remember what verbs do? What about nouns? Do you remember all of your pronouns? What is an interjection? Billgreen54 is an ESL teacher. He has taught over 15,000 hours of English. In this podcast, he shares English in an understandable way. Have fun learning English again! To prohibit is a verb. There are just a few words you need to know in English. Have fun with this simple to understand lesson. Obligation words are not difficult with this lesson. Have fun as Billgreen54 explains English! How do we ask for permission? How do we know we have permission without asking? Bill explains English in simple to understand English! I enjoy travel, traveling or to travel? Which is correct and why? Bill helps explain a few common word combinations. Adverbs and conjunctions are used in all tenses. Why and how we do that is explained in this episode! So, neither and too come from different parts of English. It is important to understand how they are used. Bill explains in simple to understand English! What are quantifiers? What are adjectives? How do we talk about things understandably? English is a step by step, day by day adventure! Let Bill help you understand and speak great English! Adjectives describe nouns and feelings. Comparatives are all about two! Comparing two objects with as & as is another way to do it! Study your adverbs and participle two if you want to communicate in English! The perfect tenses are usually a challenge for most students. Bill explains English in simple English. Listen again and again to this second in a two part lesson. Present perfect is not difficult if you have studied third form and adverbs! Present Perfect is usually the last tense studied by ESL students. That is in part because there are many elements that must be learned before! Bill helps explain in this episode. Past simple and past continuous are often used together. How do we do that? Bill explains in simple to understand English! There are something close to 150 irregular verbs used in everyday English! This is the third part of this subject! Have fun with English! Verbs are needed to create a sentence in English. Every sentence in English must have a verb to be grammatically correct. Billgreen54 explains English in simple and understandable ways. How many irregular verbs are used in everyday English? Find out when Bill explains irregular verbs in the first of a two part lesson. There are many linking words in English. Knowing how to use them will help you better communicate! Have fun with this episode! Bill explains linking words in easy to understand American English. Have fun with this episode! How can we add information to our statements. Find out more with Bill as he explains linking words. Linking words and how they are used explained in simple terms by Billgreen54 ESL Tutor! Linking Words Reasons and Why! Linking words connect other words! That is a simple thought! Learn more with Bill in this episode! "Will" is a modal auxiliary verb and "Going to" is a phrase. They are used to refer to the same time and more! Bill explains just for you! Tenses are used many more ways than most students learn at the early stages of English. Bill explains how to use present continuous for the future! "Take up" has several meanings including "Learn". Bill explains why in this episode! Phrasal Verbs are always a fun part of English! It's just the way people speak! Bill explains in simple American English! Make up? 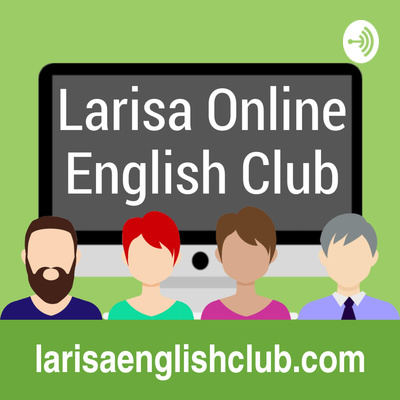 Is it a phrasal verb or noun? Of course, it's both! Find out more with Billgreen54! Lets go out! What does that mean and how many other ways can we use this phrasal verb? Pick up can be literal and idiomatic! What does that mean? Find out when Bill explains! Phrasal verbs are all about everyday English. They can be idiomatic or literal and sometimes both! Find out more with Billgreen54! Literal or idiomatic? Can you see it happening? It's literal! Can't see it happening? It's idiomatic! Have fun with this episode! No matter what a person says or does, the main idea is to communicate. Bill explains English in simple terms! There are so many ways to communicate in all languages! Expressions are just one! English is always fun to study and learn. The basics start with A, B, C! From there, anything goes! The main idea is to learn how people communicate! Countless English expressions are spoken every second of every day! Have fun with this episode! English expressions are everywhere! Learn more with Billgreen54! To the advanced speaker, expressions are used in everyday speech. Do you need to study common English expressions? Simple answer... Yes! Bill explains a few English expressions that will help you understand others! Phrases, idioms, expressions... These are just a small part of the English language! Why do we need to know expressions in English? Bill explains why and how to use them! The verbs be, do, go, have, are all commonly used in English. Find out why when Billgreen54 explains American English! What is past simple? It is a tense in the English language! Which verbs are commonly used with this tense? Billgreen54 explains grammar in simple to understand ways! Present simple? Infinitive? First form? What are the most common verbs used and why? Find out in this episode! Now, actions, the past, schedules are different ways we use present simple. Find out more in the episode with Billgreen54! Just seven days in the week and twelve months in the year! What about that pronunciation? Billgreen54 explains with a little grammar and California accent! Ordinal numbers are all about "first, second, third". Learn more with this grammar review! Cardinal? Ordinal? Which is which? Find out when Billgreen54 explains numbers! The alphabet is just the beginning to your language learning journey. Have fun as Billgreen54 uses his California English to help you with your pronunciation! Interjections are another fun part of English! Billgreen54 explains English so you understand it! Positive or negative? Bill explains in the episode! Did you know that Interjections stand alone! Study English with Billgreen54 ESL Teacher! Oh Oh! My Gosh! There are many interjections in English! Study English with Billgreen54! What is much more than a question word! Study English with Billgreen54 ESL Teacher! Interjections can be positive, negative and more! Billgreen54 explains English understandably! How to use the word "No" as an interjection? Bill explains American English! Hello:) Hi:) How do they work and why? Billgreen54 explains how to use Interjections! What are interjections? How do they work? Billgreen54 explains in this easy to understand audio lesson! Intensive pronouns! What are they? How do they work? Billgreen54 ESL teacher explains! Pronouns replace nouns. That sounds easy. Let Billgreen54 help you with your English! Billgreen54 teaches English in easy to understand ways! Study American English with Billgreen54 ESL Teacher! Pronouns replace nouns! That's simple! What do Possessive pronouns do? Let Billgreen54 help with your English! Indefinite pronouns don't refer to any one thing. Study English with Bill. Interrogative pronouns are easy to learn with Billgreen54! Bill explains in easy to understand English. Study demonstrative pronouns with Billgreen54! Personal pronouns are easy when Billgreen54 explains in simple terms! Already is used in past simple and perfect! Fast is both an adjective and adverb! Slowly and carefully are used in everyday speech! Some adverbs are often used the same way in English! Adverbs are used in everyday speech! Always is used in present simple and perfect tenses! Adverbs are one of the most important parts of English! Since is used for a point in time and more! Just and yet are used in the perfect tenses and more! Adverbs are one of the eight parts of English! Correlative conjunctions are words used in combination with each other. Correlative conjunctions are used in pairs! Correlative conjunctions are all about more than one! Conjunctions are just one of the eight parts of speech! Conjunctions are always a fun subject! Study conjunctions and understand English faster! Correlative Conjunctions are always an interesting subject! How to use coordinating conjunctions? The preposition "In" is a place preposition. The preposition "On" is a place preposition. The preposition "At" is a place preposition. What's the difference between British and American English? Movement prepositions are all about actions. The most common place prepositions are "In, On, At". Time prepositions are all about collocations from the past! By, next to, and beside can be used interchangeably. What are arbitrary collocations? Actually, I created this term! Prepositions are all about "place, movement and time". How are adverbs and adjectives connected? Many adverbs are created using an adjective. Like or likely? High or highly? Slow or slowly? Which is which and why? Speak fast with better English! The biggest! The coldest! The prettiest! These are all superlative adjectives to learn. Compare more than one, two or more with superlatives! Study with Billgreen54! Here is a short and simple explanation by Bill to refresh your memory or maybe help with a part of English you didn't know! Have fun with English! How to describe feelings? He is sad:( She is happy:) They are kind! Feelings are easily describes with a few simple adjectives! Learn more with Billgreen54! She is artistic! He is creative! They are intelligent! These are all personality adjectives. Adjectives are describing words. Have fun with English! What is a noun adjective? It's a noun that describes another noun! Remember that a word is just a word until we give it a job! How do we compare things in English? This one is bigger! That one is better! Hers' is prettier than his! Adjectives are describing words. Compare two and now you know how! Learn English with Billgreen54! This and that are two of the most used demonstrative adjectives. This grammar review will help remind you of what adjectives do. Have fun with this one! A noun modifier is a word that changes another word. This could be an adjective, an adverb. Words that modify a noun to help better understand or describe. Learn more with Billgreen54! Nouns are always an interesting subject! Predicate nouns are no exception! A predicate noun is a word that renames or provides more information. Learn more with Billgreen54! Mr. Jones, Bill, Larisa, Chicago, Florida... These are all proper nouns. There are many rules and examples! En easy way to remember a proper noun is to know that there is usually just "One"! Speak more with Billgreen54! Collectives represent a group! They are uncountable! In other words, we can't use an "S" to form a plural! Furniture, money, electronics, fruit, vegetables are all collective nouns. Have fun with Billgreen54! Abstract nouns are all about a quality, idea or state! They are just the opposite of concrete nouns! In other words, we can't touch, smell or taste abstract nouns! Learn more with Billgreen54! Count nouns are just what it sounds like. We can count "count nouns"! Chair, table, book, pencil are all count nouns. Study more with Billgreen54! Gerunds are verbs that act like nouns! We do this by adding "ing" to a verb after a state verb! An example would be "I like walking with Larisa" Like is a state verb while walking is now a noun known as a gerund! Mass or uncountable nouns are nouns we can't technically count! Sugar, rice, water, coffee are all mass nouns. Learn more with Billgreen54! Nouns are just nouns, right? Not really! There are many types of nouns. A compound noun is two nouns put together. A compound noun can also be a word created with a noun and adjective! Learn more with Billgreen54! Concrete nouns refer to things we can touch, see, hear, smell! The five senses play an important role here. Can you touch it? It is a concrete noun. Learn more with Billgreen54! Nouns are all about "People, Place, Thing" right? Well, maybe:) Nouns can be used many different ways. Common nouns are usually easy for most students. Have fun with This subject! Run, jump, dance, walk... are all action verbs! In English, there are many different types of verbs. Action verbs are usually one of the easiest parts of English to learn! Learn more with Billgreen54! Most ESL students never learn the term "Present Participle". Why is that? Teachers just don't think of teaching English grammar terminology most of the time. Present participle is simply "ing". Speak more with Billgreen54! Think, see, listen, hear, smell, have! These are all stative verbs! State verbs are all about facts as opposed to actions! Learn more with Billgreen54! Verbs in the first form or infinitive verbs? What are they? Actually, they are both the same. Questions, negatives, positives! When do we use them? Find out more with Billgreen54! Regular or irregular verbs? Present simple or past simple? Which is correct and why? Here are simple answers to these questions! Learn more with Billgreen54! Infinitive, past simple, past participle! What are they? They are the three verb forms in English! Past participle is important for many reasons. Did you know that many past participle verbs are also adjectives? Have fun with this subject! Study more with Billgreen54! What are auxiliary verbs? They are words that help other verbs. All continuous tense use at least two verbs. Auxiliary verbs help with time and full verbs help with the action or state! Verbs are used so many ways in English! Most nouns are verbs and many verbs are nouns. Remember that a word is just a word until you decide how to use it. Is it an action? Is it a thing? Billgreen54 teaches more! What is an empty verb? It is a verb that has no single definition. Empty verbs are used many different ways. They often replace natural verbs! Learn more with Billgreen54! Modal Auxiliary verbs are used many ways in the English language. Why are they called auxiliary verbs? Because they are always used with another verb! Lets find out more with Billgreen54! Negative questions are one of the most polite ways to learn more about someone or something. There are many ways to ask for something in English. This is just one! Study with Billgreen54! One can of soda! One pound of sugar! Two gallons of water! Five bottles of milk! These are all partitives. It is another way we determine how much or how many! Why would someone ask for something indirectly? Good question, right? Find out why we ask questions in so many ways. Study English with Billgreen54. Passive voice is when we reverse the object and subject. Bill wrote that book! or That book was written by Bill! Which is more common and why! Direct or indirect? Which is better? Actually, speakers of English use both. It is possible that indirect might be a little more polite! Have fun with this lesson! Meeting someone for the first time should be easy in English. As an ESL student, it may not be so easy without a little practice! Join Billgreen54 for this simple lesson! Determiners come from many parts of the English language. What is a determiner? Find out with the detailed grammar review! Question tags are another fun part of English to study. This grammar is normally taught at the intermediate level. I like teaching it at the elementary level for a number of reasons! Study English with Billgreen54! Goodbye! So long! Bye for now! See you! These are all ways to depart from someone. Are they all polite? How common is the word "Goodbye" in American English? Billgreen54 explains! Time adverbs are just one part of the English language. Adverbs and how they are used is one of the most important pieces of the English language puzzle. Quantifiers help use determine how much, how many and more! Partitives are all about a glass of, a bottle of and more! Have fun studying with Billgreen54! Determiners are another interesting subject! Determiners are words that help use know what noun we are talking about. Study English with Billgreen54! Passive voice is often a mystery to most students of a second language. Why? Because most students who study English as a foreign language stop studying at the elementary level. Interjections are always fun to study! Just about any word in English can be an interjection! Did you know the word "Yes" is an adverb? Did you know that it is also an interjection? Adverbs are probably the most important part of the English language. Adverbs do so many things. Adverbs modify verbs, adjectives, phrases and other adverbs! Verbs are easy once you get the hang of it! Did you know that most verbs are nouns and are other parts of English too! So, what is a pronoun? Pronouns relace nouns! There are many different pronouns in English. Study English with Bill! Have fun! Why do we need adjectives? There are many reasons! Adjectives are describing words. Take the time to learn adjectives again with Billgreen54 ESL Teacher! Prepositions are an interesting part of English. Place prepositions "in, at, on" are used in countless ways. Study English again with Billgreen54. Have fun with prepositions! Conjunctions explained in understandable American English by Billgreen54! What are conjunctions? What do they do? Study English again with Bill. Have fun with conjunctions! What is a noun? People, place, thing! Easy right? Well maybe for some. For others who studied English in grade school, have fun studying the basics again with Billgreen54 ESL teacher! Join Billgreen54 ESL teacher for this interesting and informative review of affixes. Bill shares grammar in a simple and understandable way!